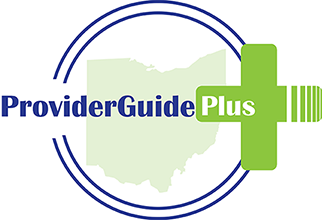 UCP of Greater Cleveland, founded in 1950, provides therapeutic intervention to children and has a successful history of offering both residential and work support services to adults. Work support services include vocational habilitation, integrated employment, group employment, adult day support/integration, adaptive/assistive equipment services and residential supports for adults with disabilities. Our lifespan, truly individualized services offered by our experienced and caring staff are what set us apart. 4.7 of 5 from 15 reviews. Highly recommend this agency and the job placement supervisor who handled my son's job placement process, everything from initial interviews, resume creation, job applications, interviews, follow up. He established a positive, easy relationship with my son which goes a long way for those on the spectrum. My son had been unemployed for months but thanks to this man, he has a job in a field that interests him. Without assistance, he would had ended up with a series of unsuccessful fast food jobs. The job supervisor also followed up weeks later to see if my son had started yet. Many thanks to the agency and the job placement supervisor, truly a gift! We have worked with Oakleaf Partners for the past 2.5 years, first through Project Search and then through job development and support services. Everyone we have worked with has been positive even when we have faced challenges. They are more than wiling to work with us to brainstorm ideas and solutions. We have felt part of the process which is crucial to a good working relationship.